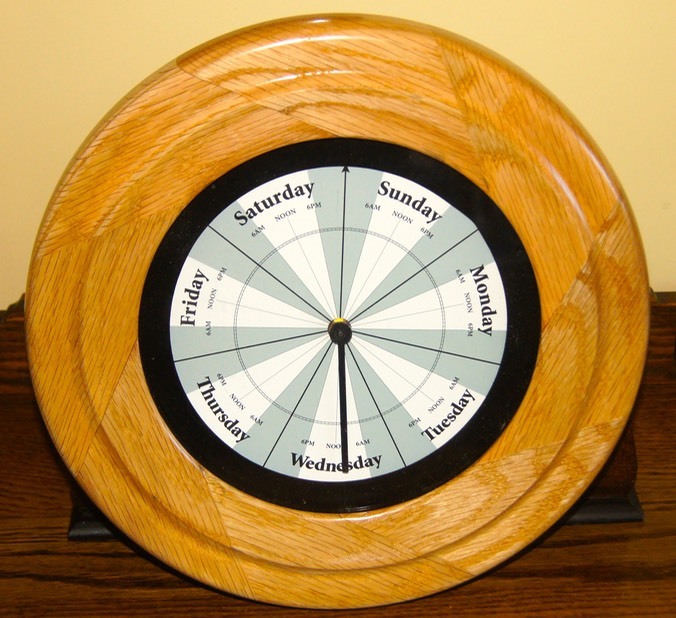 Problem: I wanted to make a Retirement Clock. I started off glueing up an 8 segment ring that measured 12” in Diameter with a hole in the center big enough for the clock face. (6.75”). Once the glue had dried, how do you hold it on the lathe? 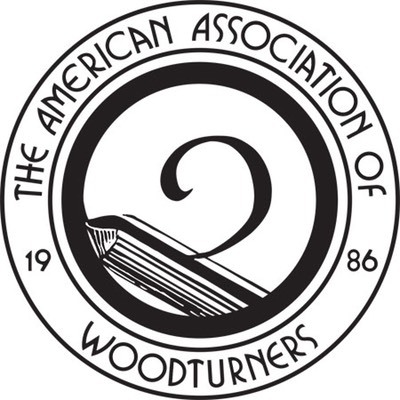 My Solution: After posting my problem on Woodturners Unlimited (http://www.woodturnersunlimited.com/forum/), it was suggested that I use a Doughnut Chuck! Well, I had never heard of such a thing so some research was in order. I found out that it was nothing more than a circular shaped clamping devise. 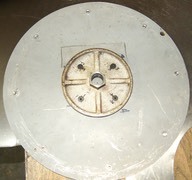 Backing Plate. I needed a plate that was large enough for my Lathe (16” in Diameter). My old Rockwell/Delta 46-612 has a notch bed so I can push it to 16” over the notch. I found a nice sheet of Aluminum 1/4” thick 16” x16”. I was able to cut a nice circle with my Jigsaw. Then I attached it to my 6” Faceplate. Material to make rings out of. I used 5/8 plywood. Bolts (8) I used 1/4 20 TPI 3” long Carriage Bolts with Thumb wing nuts. Bolts to attach backing plate to the faceplate. I used 6mm x 10mm Counter sunk screws. Drilled and taped holes in the Aluminum Plate. Method: I was able to mark the center on the Al. plate and drill a small hole so my Radius Jig for my Jigsaw would fit in it. I cut a nice 16” diameter plate. 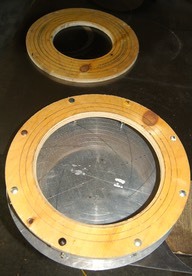 I them marked up the plate with radius rings every 1/2” as guilds for mounting pieces on it. I also marked Horizontal and Vertical lines through the center as well as at 45° so I could set out the 8 holes around the outer circumference for the clamping bolts. I was also able to center up the faceplate on the Backing plate so I could mark mounting bolts to attached the faceplate to the backing plate. On the 15” ring I marked and drilled 8 holes for the clamping bolts. Conclusion: As you can see, this devise does the job very well. I have made two more clocks so far, one more to go. I have made one of Black Ash, one of Red Oak, one of Jack Pine and I am working on one more made of Tamarac (Larch). I can see this unit being used for all kinds of projects like this.